Keynote: How did AI transform the services industry? Thursday October 4, 2018 — Over 250 people gathered in the Computer History Museum for the second annual Silicon Valley Science and Technology Forum. 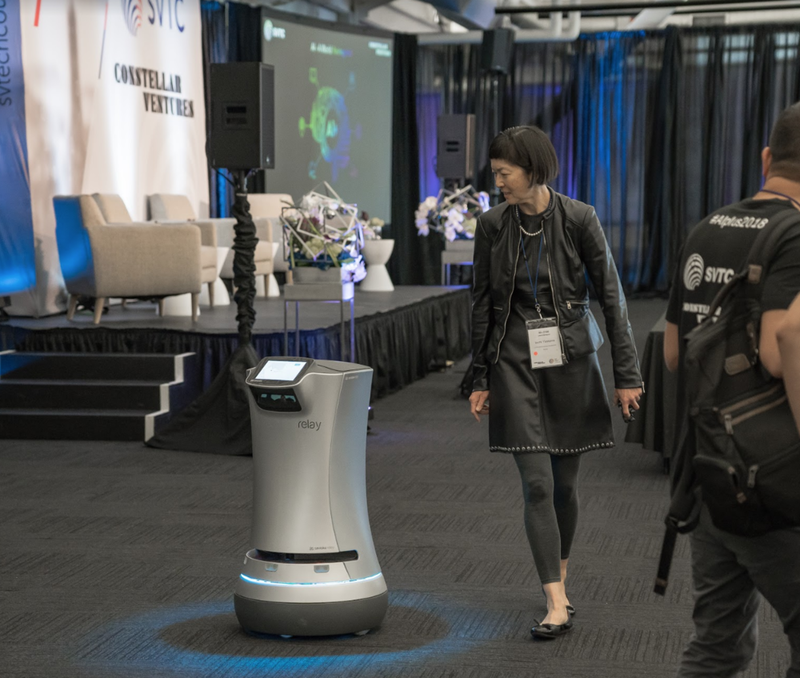 This year’s theme was “AI+ 2018: A World Reimagined.” The event commenced with a keynote given by Bob Bauer, Chief Strategy Officer at Savioke, on how AI and robotics is transforming the services industry, complete with a demonstration of Savioke’s service robot. Bauer began by explaining the historical development of service robots, dividing this process into three stages: the perception stage that began in 1956; the neural network stage that began in 1991; and the deep learning stage that began in 2010. With the integration of AI software, robotic models have been undergoing gradual improvements, from robots that can only perform mechanical motion to robots that have observational, computational, and analytical behavior. Bauer then explained that their strength lay in the fact that AI service robots can perform tasks that humans are unwilling or unable to perform. The integration of robots into the service industry could thus greatly enhance the quality of services provided. Co-Founder& Business development, Savioke Inc.
During his presentation, Bauer included a demonstration of Savioke’s hospitality service robot, Relay, which delivered a bottle of water to where Bauer was standing on stage. Current robotics technology is improving at an exponential rate, which will lower the costs of research, development and production of robots. The earliest use of service robots was in the military; it was then used in the industrial sector for around 10 years, and is now expected to play a transformative role in the medical field. At the same time, ever-increasing processing speeds is one of the major trends that we’re going to see in the field of robotics. The market for service robots will be affected by regulation, but the larger the market grows, the likelier it is for it to obtain advantageous regulation and government support.